Ahead of Rabi season, Farmers have been allowed to purchase seeds with old 500 rupee notes and have been permitted to withdraw up to 25,000 rupees per week from their KYC compliant accounts. Reserve Bank of India permits withdrawal of upto 2 lakh 50 thousand rupees for people who have a wedding in their family on or before 30 December, 2016. Withdrawal can be made by either of the parents or the person getting married. Indian successfully testfires its indigenously built nuclear capable ballistic missile, Agni-I, from a test range at Abdul Kalam Island in Odisha The missile can hit a target 700kms away. Google with Google Arts and Culture launched a virtual exhibition to showcase achievement of Indian women. It is called ‘Women in India: Unheard Stories’. The aim of this is to highlight contribution of Indian women in history. India and European Organisation for Nuclear Research (CERN) signed an agreement making India an Associate Member state of CERN. CERN has its headquarters in Geneva, Switzerland and operates the largest particle physics laboratory in the world. Egypt’s court of Cassation overturned former President Mohamed Morsi’s life sentence. A re-trial has been ordered for the case which revolves around espionage with Palestinian group Hamas. President Elect Donald Trump announced that USA will quit the Trans-Pacific Partnership trade deal on his first day in the office. TPP was signed by 12 countries which cover about 40% of the world’s economy. It was signed on 4th February 2016. 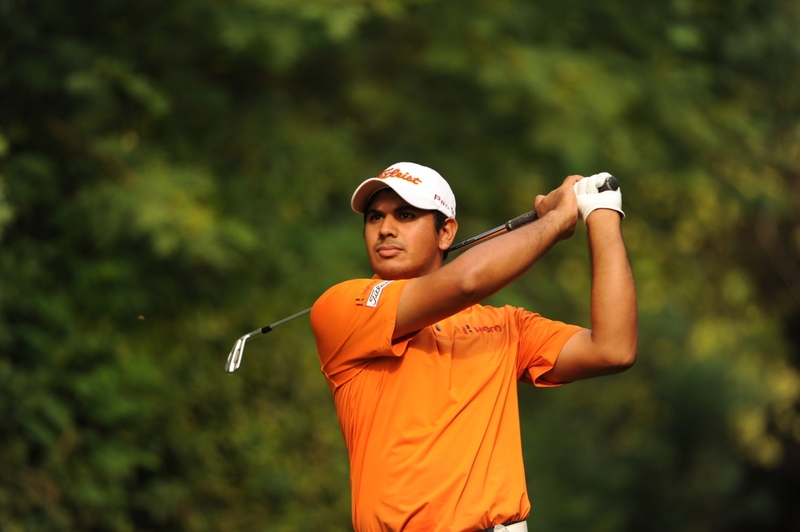 Indian golfer Gaganjeet Bhullar has won the BANK BRI-JCB Indonesia Open for the second time in his career. He is now the 5th player to win it twice. Frank Islam, an Indian-American philanthropist has been awarded the Interfaith Leadership Award. This was given to him for contribution towards art and higher education. Thailand’s princess Maha Chakri Sirindhorn has been presented with the first ‘World Sanskrit Award’ for the year 2015. American linguist and Indologist George Cardona has been presented with the same award for 2016. This award was instituted by the Indian Council for Cultural Relations. Quikr India Pvt. Ltd. has acquired home rental start-up Grabhouse in an all-stock deal. Swiss pharmaceutical company Novartis has acquired Selexys Pharmaceuticals, a US research lab in blood and inflammatory diseases. Scientists discover new super Earth type exoplanet named GJ 536b orbiting a bright star near our sun. The planet has a mass of around 4 Earth masses. 1. Who has won the Interfaith Leadership Award? 2. When was the Trans-Pacific Trade agreement signed? 3. Who has been awarded the World Sanskrit Award for 2016? 4. India has signed an agreement with which research organization to become an associate member? 5. What is the name of the Test Range where Agni-I missile was test fired recently? 6. Which Indian won the BANK BRI-JCB Indonesia Open for golf? 7. Novartis has acquired which company recently? 8. What is the name of the virtual exhibition launched by Google Arts and culture?